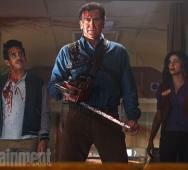 Starz’s Ash vs Evil Dead Season 1 premieres this upcoming Halloween October 31, 2015, but you do not have to wait that long to see the opening scene video. The opening scene centers on Ash preparing to “get some” at the local bar. I love how the video ends with Ash in a major predicament after a great time turns into a sour note. The hijinks are awesomely funny, and I am dying to see more. Wish Starz would release the entire series all at once so we could binge watch. The first episode is directed by Sam Raimi with Bruce Campbell, Lucy Lawless, Mimi Rogers, Jill Marie Jones, and Dana DeLorenzo. CW’s The Flash Season 2 will be seeing Killer Frost in upcoming episodes. Danielle Panabaker plays Caitlin Snow but will also star as villain alter ego Killer Frost. We first glimpsed the change in The Flash Season 1’s season finale. Not sure of this version of Killer Frost will be an Earth 1 or Eart 2 alternate Killer Frost but I am dying to see what DC Comics and CW have planned for us. Tell us your thoughts and how excited you are. Beat Down Boogie released two new music videos for their New York Comic-Con 2015 (NYCC 2015) cosplay. This group always releases some of the very best cosplay coverage so, please share and like their video to show some support. Reminds me of my NYCC experience and how much my entire family enjoyed the experience. 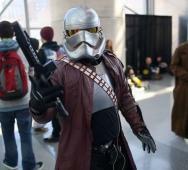 Leave a few comments below on your favorite cosplay costumes and thoughts. This Halloween House has to be one of the best Halloween decorations I have seen for Ghostbusters in a very long time. The lights are in sync with the Ghostbuster theme song and display a fantastic light show. 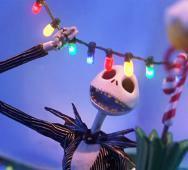 Kevin Judd and Amber Judd of Creative Lighting Displays really did a great job putting together this Halloween display. 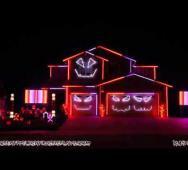 The full list of songs included in this 2015 Halloween House Light Show include “Ghostbusters,” Michael Jackson’s “Thriller,” “Monster Mash” by Bobby Pickett and, of course, “This is Halloween!” Tell us what you think of this display in the comments below. Marvel may want to hire this Marvel fan because he just created an excellent Thor’s Hammer replica that stick to all metal surfaces. The hammer will only release for one person via thumbprint. 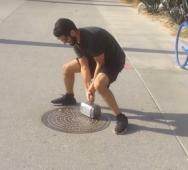 Watch as many others try their best to lift Thor’s Hammer and fail, to make this one of the best Marvel pranks in recent memory. Below is my list of the 5 most famous murder houses that many horror movies have been made from the events that happened in the house or portray the crimes or filming at the residence. 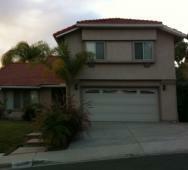 These infamous and terrifying houses of murder are all American murder houses right here in the US. There are many claimed murder houses out there but we narrowed down the list to a top 5 because the others did not really seem horrifying. Top 20 scariest places around the world to film a horror movie that might not incur any fatal happenings to the crew members. 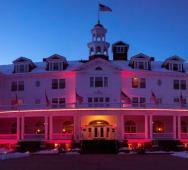 Below is a list of some of the scariest places to film a horror movie around the world. The list will give you a chance to take a closer look at a few movie locations of some of the scariest horror movies ever made. Would you visit a killing ground that thousands of people were murdered on, and their bones can be seen today when it rains? 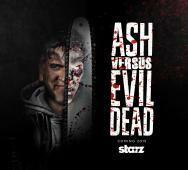 Starz’s Ash vs Evil Dead TV series season 1 premieres this upcoming Halloween October 31, 2015. Sam Raimi, Bruce Campbell, Lucy Lawless and more appeared at the New York Comic Con 2015 (NYCC 2015) that was moderated by Kevin Smith. Those lucky to attend were treated to the premiere of the first episode of Starz’s Ash vs Evil Dead Season 1 Episode 1. This season also stars Jill Marie Jones, Dana DeLorenzo, and Ray Santiago. 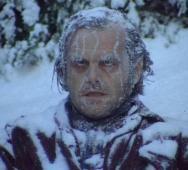 Over the years, I have seen some really unbelievable death scenes that were so terrible they were instantly great. 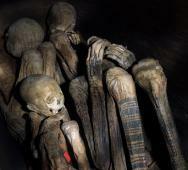 You will recognize some of these scenes, but you will also see a few more that you may not have already known about. I would have to say that one of my favorites on the list is the John Carpenter‘s Big Trouble in Little China (1986) death scene. Thanks to Screen Rant for making this video. Share with us any death scenes that this list may have missed. Everyone has heard urban legends of haunted highways, road, houses and several other places where people have experienced paranormal or supernatural occurrences. It’s almost Halloween, so what is more fun than to read about sinister creepy roads in the United States. Imagine you are going to a haunted house for Halloween with a bunch of friends or family and you accidently took the wrong turn and end up on one of the roads listed below, just, what if? The only way to know if these haunted highways are real is to have some close to you or you if you are daring encounter a supernatural experience on it. 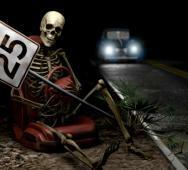 Below are my top 7 haunted highways in North America. 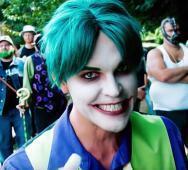 Batman fans will love this music video featuring some of Batman greatest villains like Two-Face, The Riddler, The Joker, and Bane. Matthew Schwartz has done a phenomenal job writing, directing, and producing parody rap video Rap Straight Outta Gotham. Before making this music video, Schwartz was fired from Cartoon Network and wanted to do something all his own. Like and share if you think Matthew did an excellent job. This top list includes some really fun commentary and is a sure fire 5 best ‘Coming of Age’ horror movies to watch on Halloween list. 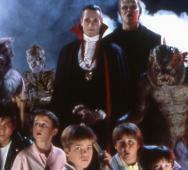 The list includes Monster Squad (1987), Teen Wolf (1985), The Lost Boys (1987), Attack the Block (2011), and The Goonies (1985). Thanks to kreshjun for making this video for our entertainment. The video is below with full details on each movie. 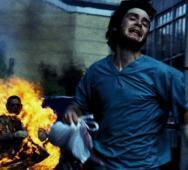 Danny Boyle Returns to Direct 28 MONTHS LATER!? 28 Months Later has been hinted at infrequently, but Alex Garland did say recently that something was in the works. Danny Boyle (Steve Jobs (2015)) directed 28 Days Later (2002) and although he clearly stated that he would return to direct, he may be reconsidering. Danny Boyle stated recently that he has to feel like he can amplify a script before will direct a film. Sounds optimistic right now but it is not written in stone if Boyle has read the script yet or if he has the time to direct 28 Months Later. What do you think, do you want Danny Boyle to return to direct the third film? 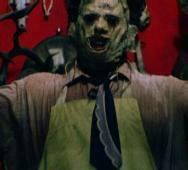 Our top 10 horror movie masks is compiled from scary horror movie masks and iconic movie masks. 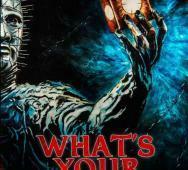 Many of the masks in this list come from classic horror movies while a few come from modern horror films. Without spoiling the order, we have included Hannibal Lecter, Ghostface, Leatherface, Michael Myers, Jason Voorhees and others. 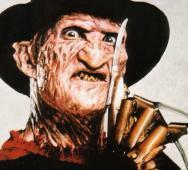 Like always, leave a comment if we left out a notable horror mask and we will add it. Warner Bros is allowing Legendary Pictures to bring the new King Kong movie, Kong: Skull Island (2017) to Warner Bros so that everything will be done under one roof for the epic battle of Godzilla vs King Kong movie. This news is extremely early, but just knowing that Warner Bros has started the wheels in motion for such a battle is exciting. 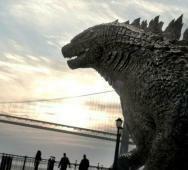 We may not see any sign of the showdown until the second Godzilla film releases in three years. 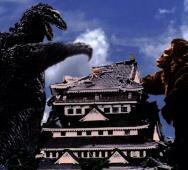 How many of you want to see the epic rematch of Godzilla vs King Kong? 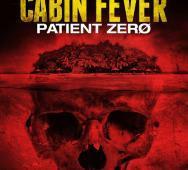 Eli Roth is coming back in the Cabin Fever Remake, Cabin Fever (2016), as the executive producer. 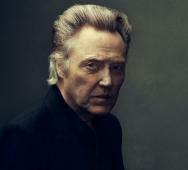 IFC Midnight has just announced the purchase of the film rights. The script for the remake will be the same exact script from the original Cabin Fever (2002) but with director Travis Zariwny and the all new cast. The cast for Cabin Fever (2016) includes Gage Golightly, Matthew Daddario, and Nadine Crocker. How does a remake using the same exact script as the original sound to you and are you excited to see this Cabin Fever remake? 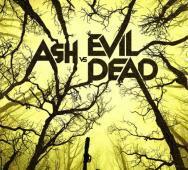 Starz’s Ash vs Evil Dead TV Series premieres this upcoming Halloween October 31, 2015. It goes without saying that there is a major SPOILER WARNING alert for the content below. Below is the first nine titles and descriptions for the Ash vs Evil Dead Season 1 but the season finale episode has been left out. 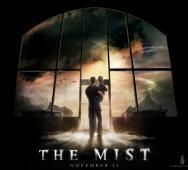 The first episode is directed by Sam Raimi with Lucy Lawless, Mimi Rogers, Jill Marie Jones, and Bruce Campbell starring. 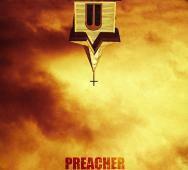 AMC's PREACHER TV Series Officially Ordered! Garth Ennis and Steve Dillon‘s comic book Preacher TV adaptation has officially received a full TV series order from AMC. 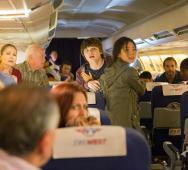 AMC previously ordered a pilot episode back in December 2014. AMC’s Preacher Season 1 will consist of 10 one-hour episodes. 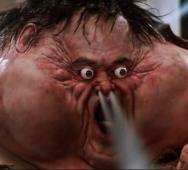 Sam Catlin, Seth Rogen, and Evan Goldberg are set to star in the Preacher TV series that will air sometime in mid-2016. 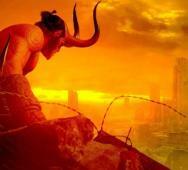 Ron Perlman Talks HELLBOY 3 and "F**Ked Up" Guillermo Del Toro Story! Ron Perlman drops little bits of Hellboy 3 news frequently and today we have the latest news from Ron Perlman, who details elements from the Hellboy III script by Guillermo del Toro. Seriously, after reading all the info that Perlman just dropped, this film should have been made right after the second movie was completed. Hellboy 3 would need some major money backing it to bring these few elements to the screen in the way it should. We detailed the major elements below so enjoy these Hellboy 3 leaks. Legendary Pictures, what’s up? 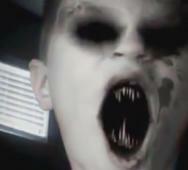 DmPranksProductions created a funny/scary video where they scare unsuspecting people with a terrifying demon child. I seriously feel sorry for the victims in these videos but at the same time I cannot help laughing. Like, share, and comment below. If you want to see more scary prank videos let us know. 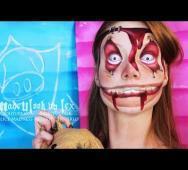 Madeyewlook just keeps releasing these awesome tutorials for great Halloween costumes that are in fact make up body paint cosplay costumes. This time we have an insane asylum child that is great for Halloween. This costume is one of those quirky insanely genius costumes that make people come up to you asking “how did you do that”. Watch the video, like, share and leave your comments below. Do you want to see more videos on cool cosplay costumes? Dr. Jekyll / Mr. Hyde Confirmed in Showtime's PENNY DREADFUL Season 3! Showtime’s Penny Dreadful Season 3 will include Dr. Jekyll and Mr. Hyde played by Shazad Latif. Actress Patti LuPone will also return as Dr. Seward in season 3. Season 3 of Penny Dreadful is currently filming for the TV series return in 2016. Full press release below with the returning cast including a few new faces. NBC is working on a Brides of Dracula TV series, and it sounds silly. 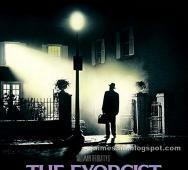 Did they really cancel the Constantine TV series for this? The three brides become free from Dracula’s control and are now “empowered women” who will do things to maintain wealth, prestige, legacy” and family. What!? Will they still be vampires, I think so. Roberto Aguirre-Sacasa (Carrie (2013), The Town That Dreaded Sundown (2014)) is set to write the series. NBC is working on the pilot now, and the new TV series is called Brides. NBC has committed to creating the pilot and will be set in modern-day New York City. NBC wants to answer “what if the brides of Dracula hadn’t been staked and decapitated by Abraham Van Helsing?” What do you think of the Brides TV series? 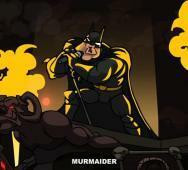 I could not resist posting this ridiculously funny music video featuring Batman in Heavy Metal. There is Batman, Robin, Red Hood, Aquaman, Wolverine, Wonder Woman and many more from the comics included. We also have a ton of Disney and Nickelodeon characters too. This video is a must see from Dethklok (Adult Swim’s Metalocalypse) titled “Murmaider.” I laughed so hard and could not wait to see who would be featured next. We have 3 new teaser videos for FX‘s American Horror Story: Hotel. The first video “Towhead” reveals some deadly looking children. 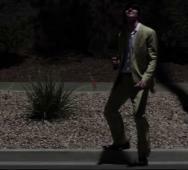 The second video “Sleepwalk” is a very creepy promo. 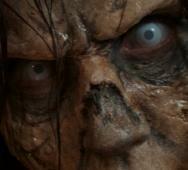 The final video “Jeepers Peepers” has a creepy eye looking back at you. All in all, nice promos to drum up the scare factor but we want more Lady Gaga, Sarah Paulson, Kathy Bates, Angela Bassett, Wes Bentley, Matt Bomer, Chloe Sevigny, Denis O’Hare, Cheyenne Jackson, Evan Peters, and Finn Wittrock. 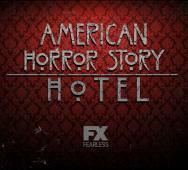 FX’s American Horror Story: Hotel premieres this upcoming October 7, 2015. 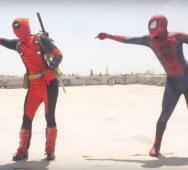 D-Piddy has released a funny video featuring Spider-Man Vs Deadpool in a dance battle. The music/beats and the dancing are pretty good. Every Marvel fan will get a few chuckles out of this funny video. Stay tuned to the end to see Deadpool get caught up in the moment and take it just a little too far. 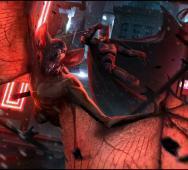 Artist Dave Paget recently released a fantastic concept art for Batman Vs. Man-Bat. As a horror fan and Batman fan, I love anything that involves these two characters versus each other. The art features the two characters in mid-battle as Batman is about to pummel down on Man-Bat. If you played Rocksteady‘s Batman: Arkham Knight, you might have already completed the mission where this battle happens. That battle was awesome, and this concept art brings those fond memories back. Comedians, Key & Peele, created a funny parody video of how Gremlins 2: The New Batch (1990) was created. Awesome Master of Horror movie director Joe Dante went totally different with this sequel to the Gremlins (1984) small town creatures tone. 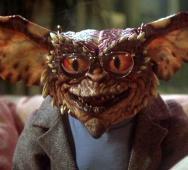 Some of the gremlin creatures that were mutated were totally cool, and this video pokes fun at the brainstorming phase for this horror movie. 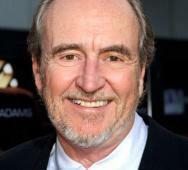 It is with great sadness that we announce that Wes Craven has passed away at the age of 76. Legendary horror director and Master of Horror Wes Craven had been battling brain cancer for some time and succumbed to it on August 30, 2015. Our deepest sympathies go out to Wes Craven’s family and friends. 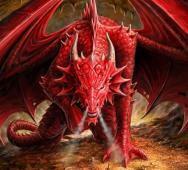 The Bible holds a huge collection of tales that include beasts. These beasts are huge and otherworldly. Some may only be tamed by God alone. This article serves as a nice refresher to some of the darker things in the Bible and like all things in the Bible, everything is open to interpretation and open-mindedness. 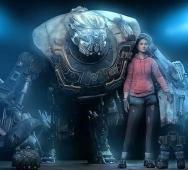 Guillermo del Toro is prepping to film Pacific Rim 2 (2017), Pacific Rim: Maelstrom (2017), but is already thinking about Pacific Rim 3. 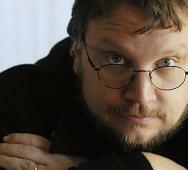 Guillermo del Toro wants Godzilla to appear in the third installment of Pacific Rim. Legendary Pictures currently has both rights and can give the okay for a very interesting film. I am sure fans of both franchises would love to see a crossover between Godzilla and Jaegers. 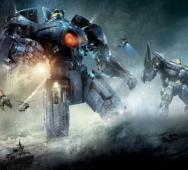 Do you think this will be a good idea for Pacific Rim 3?